Gone is all the glory of the exhibit. 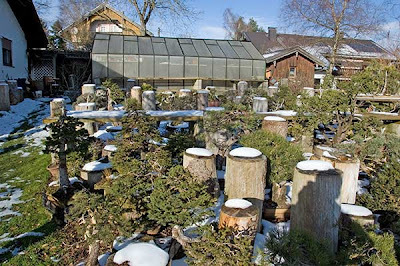 The trees are eithr in the un heated greenhouse or on the ground between the stumps or under the benches. This will stay so until mid-April. Jim Doyle and I decided to accept silent observers for the workshop on Saturday. We will ask 50 US$ for just listening and watching. Regarding the price for the workshop: One has to understand that we are dealing with material that typically costs around one grand or much more. There are way too many folks out there who have lost such trees because they did not know how to treat them properly. So 150 bucks for a workshop to learn how to not loose more than a grand should be fair. Regarding the fact that people will pay for helping doing my work. Well, it is not exactly so, but there is some truth in this. So why will almost all participants of last year be there again? I think it is because they have learned a lot and it was fun. will arrive until end of April. 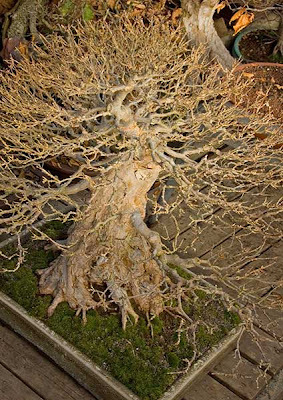 world class bonsai. There are many this time which are somewhat affordable. 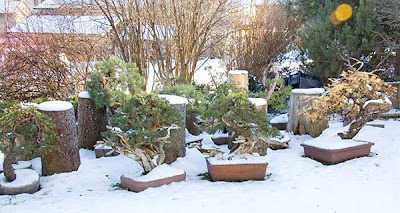 about how to make professional bonsai images. time. Trees will have a price tag at the beginning of May though. for styling advice. Register now with a $50 deposit. questions. These 'demos' are free of charge. Sunday, may 3: demonstrations WP and Jim Doyle and possibly private workshop on th side. Individual sessions may be available in addition. Pricing by WP. Email or call for further information 717-545-4555. Due to popular demand we will have the same thing and more in spring of 2009. 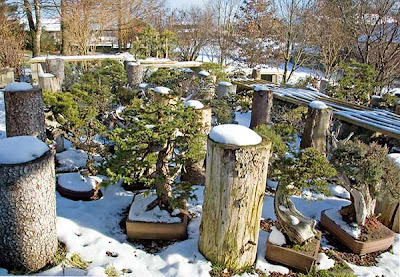 From Friday, May 1 to Sunday, May 3 we will have the second Collected Trees Symposium at nature#s Way Nursery in Harrisburg, PA. 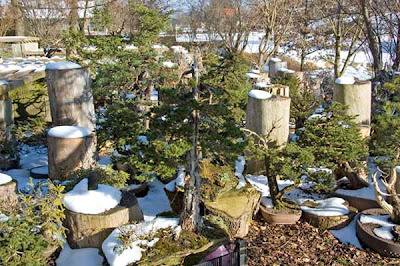 There will be around 50 new trees, some quite spectacular; many in a generally affordable range, junipers and pines. The plan it to have a full day workshop again about working on precious collected material; hands on repotting, cutting back, developing etc. This will be charged. 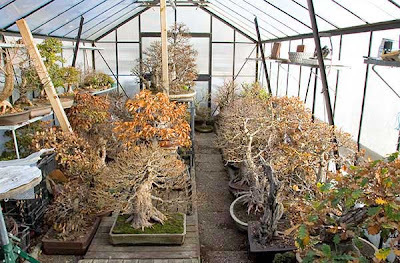 On two days I will be working on outstanding trees in an ongoing demonstration. This is for free. Tired but happy after 36 hours of travel. From Joinville, Brazil to Curitiba, Brazil by car. Then from Curitba to Montevideo, Uruquay by plane. from Montevideo to Buenos Aires, Argentina national airport. Then transfer by Ruben and Uschi (thank you very much) to international airport. Then from Buenos Aires ot Madrid, Spain. From Madrid to Munich, Germany. And then by train to the backwoods to find my car still standing in front of the railway satiion and then back to our houme which was cold at arrival, but is warm now. Very good memories. I will report tomorrow on travelogus. I will be away for two weeks. From November 6 to November 9 in Buenos Aires, Argentina for the FELAB 2008 Convention. From November 15 to 16 in Joinville, Brazil for the Flower Festival. In between to the Iguazu waterfalls and some more sightseeing. 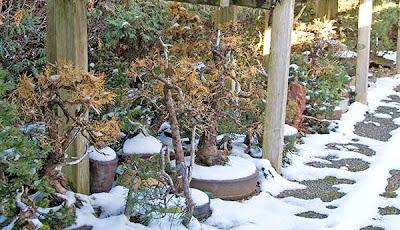 Bonsai is good to me. What a life! I will report of course.